Today I sat out on the porch in the glorious December sunshine – I had my camera ready to capture some cardinals, or woodpeckers, or maybe even the eagle that’s been circling over the mountain for the last week. 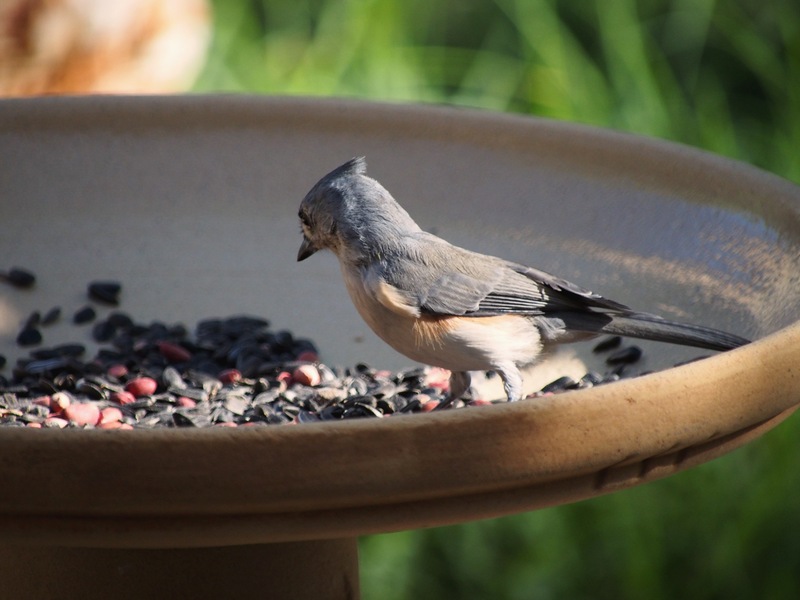 It occurred to me that even as I try to find the right feeder to attract those snobbish cardinals, as I build feeders to bring the woodpeckers closer, as I buy food I think will get me flashier birds – I have been neglecting one of the most majestic and loyal species at the buffet. 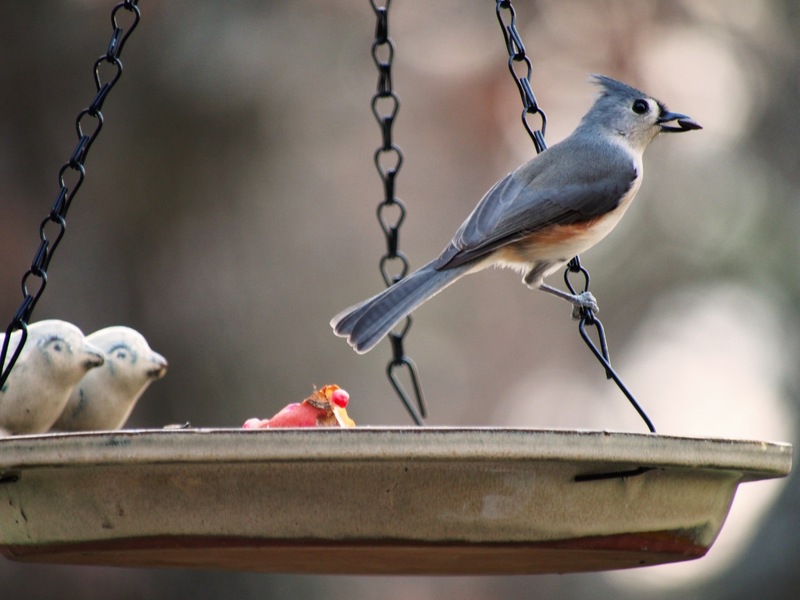 The first birds to come to the buffet were titmice. Those first couple of weeks I was thrilled to see any birds, but before long I was caught up in the search for the flashiest and began to ignore my new friends. 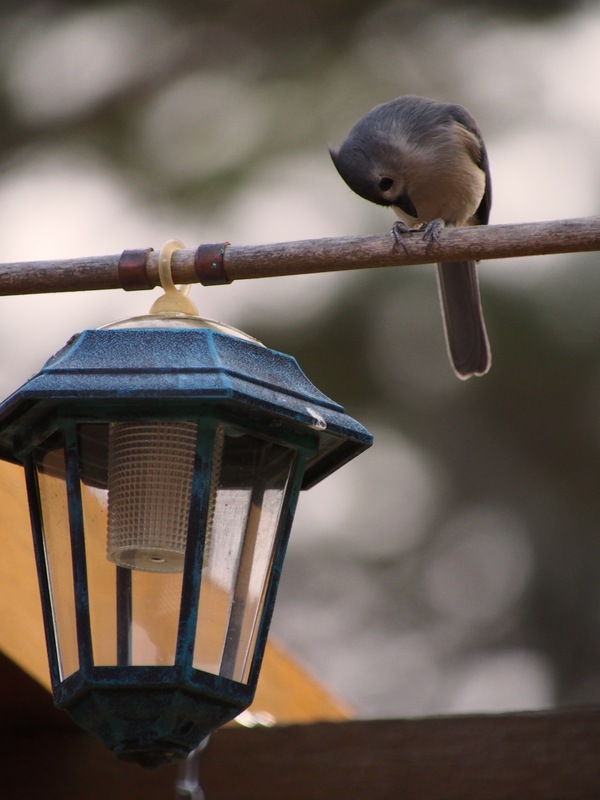 The titmice continued to come and entertain me, even as I quit lifting my camera, after all, it’s just another titmouse. Today it occurred to me that I have these amazing little birds right here in front of me. They like any feeder, any food, and I think they actually like me. They get incredibly close and talk back at me. As I walk across the lawn to my car each morning they call to me and they greet me when I come home each evening. How could I be so distracted by some red feathers or flashy patterns? 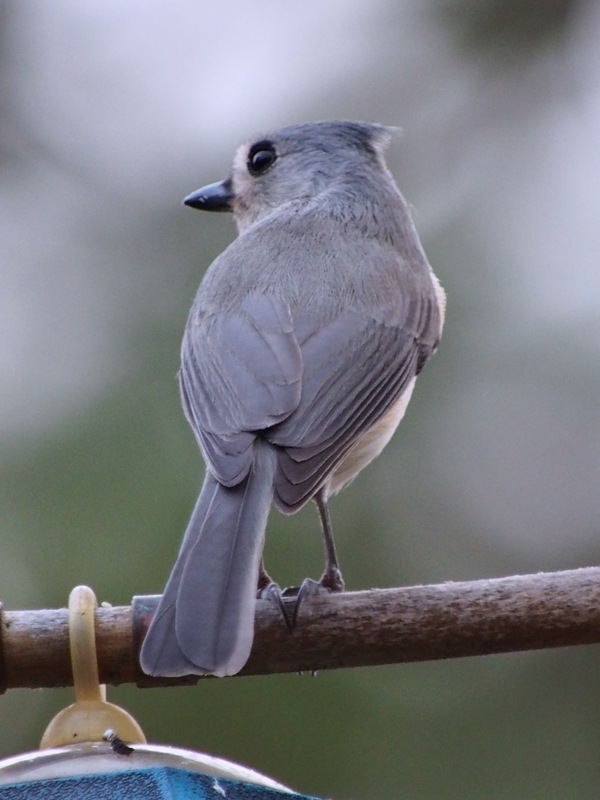 Cardinals may come and go, but titmice are in this for the long haul. Who needs a lot of red feathers and fancy patterns? 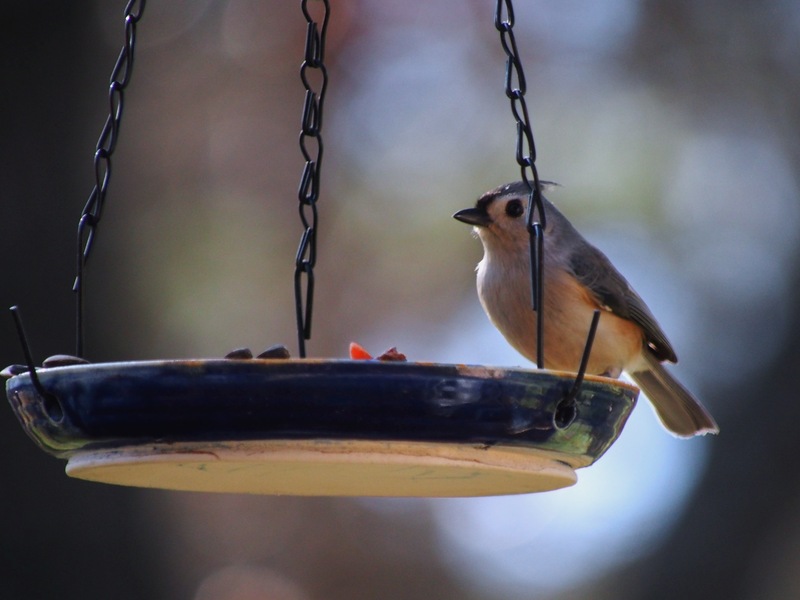 I need to learn to be as content, as friendly, as happy as my faithful friends, the titmice. 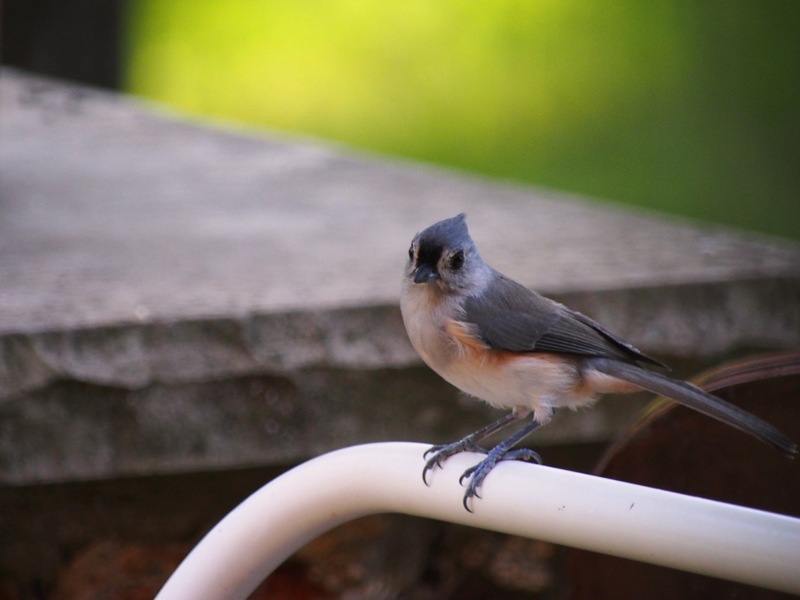 This entry was posted in birds, Ozarks, Photography, wildlife and tagged bird feeding, birding, Olympus, Olympus E-M5, Ozarks, photography, titmouse by artsifrtsy. Bookmark the permalink. wonderful and fun photos! They ARE the Girl Scout of birds! That’s a great term for them. Is it me, or do they all seem like they are smiling? maybe it is their nature to smile for the camera? 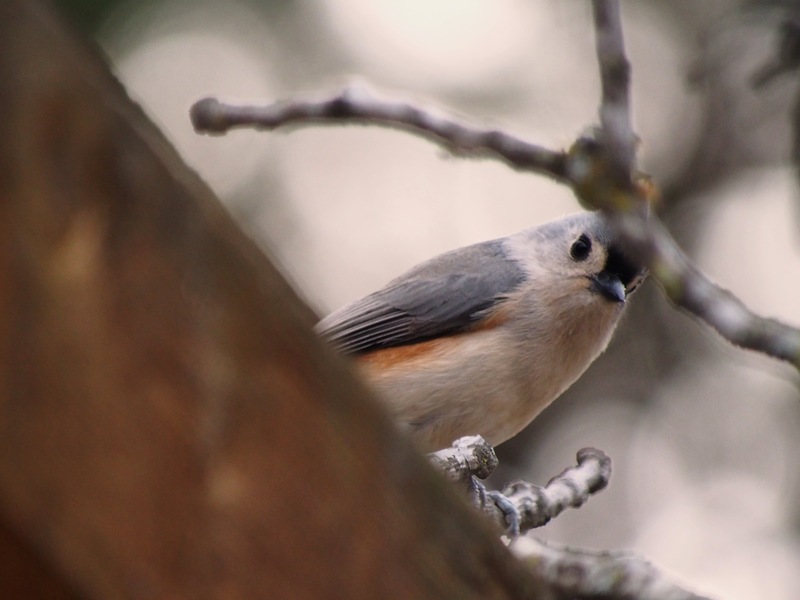 Lovely photos of the titmouse. I think they’re really beautiful. Such a soft delicate colour too. Flashy tends to distract a lot of people! Always wonderful — how do you keep squirrels out of those open plate feeders, though? Thanks. I have three terriers on a wireless fence – there are no squirrels inside the perimeter – and the birds don’t care about the dogs. I know – not quite that warm here, but gorgeous. I hope it lasts a couple more weeks! ah yes, sometimes we forget about the dependable for the thrill of the flash. Wonderful pics as usual. I get chickadees this time of year, don’t recall any titmouses here though. I love the chicks though, they are so cute and fast and funny. I love chickies – they are so tame and fearless. 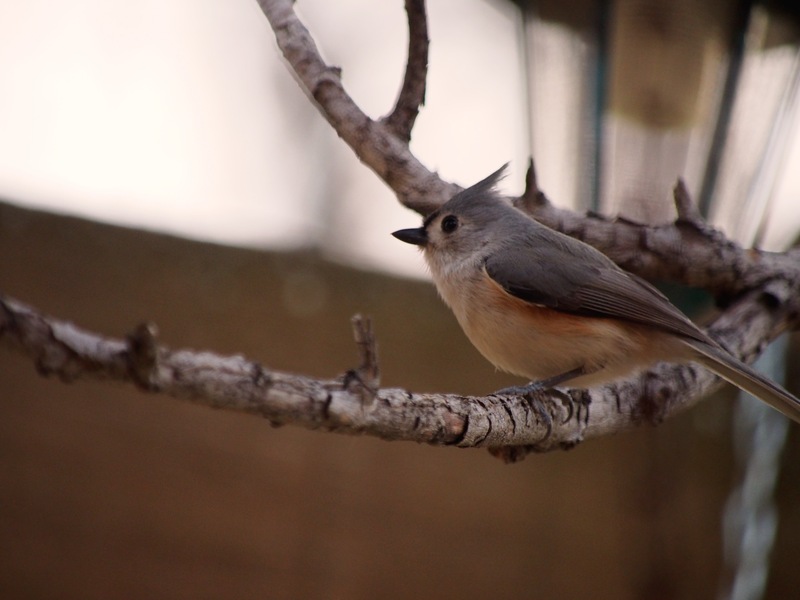 I have a pretty equal mix of them with titmice – I just had never written a post about them. The two species are my regulars. I have put out a lot of birdhouses for them for spring. I need to remember that they are the ones who gave me joy when I started the journey. 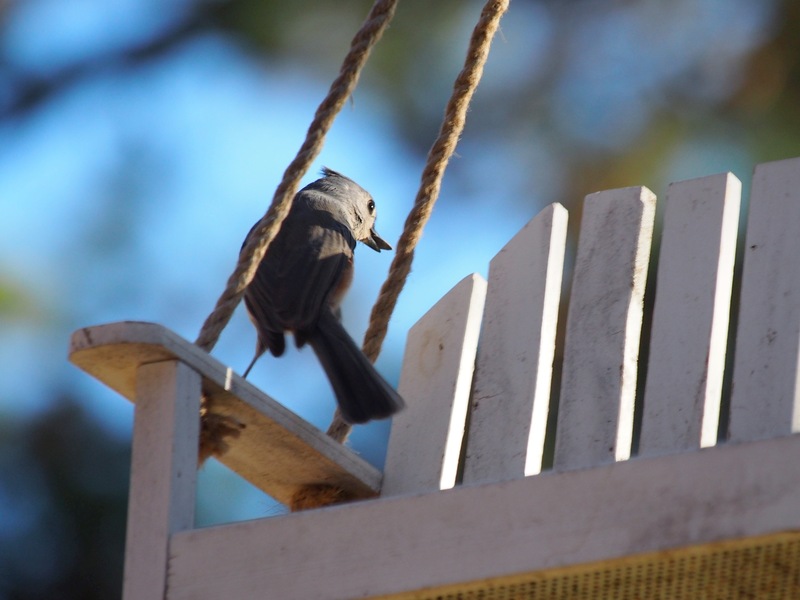 Love the titmouse photos! 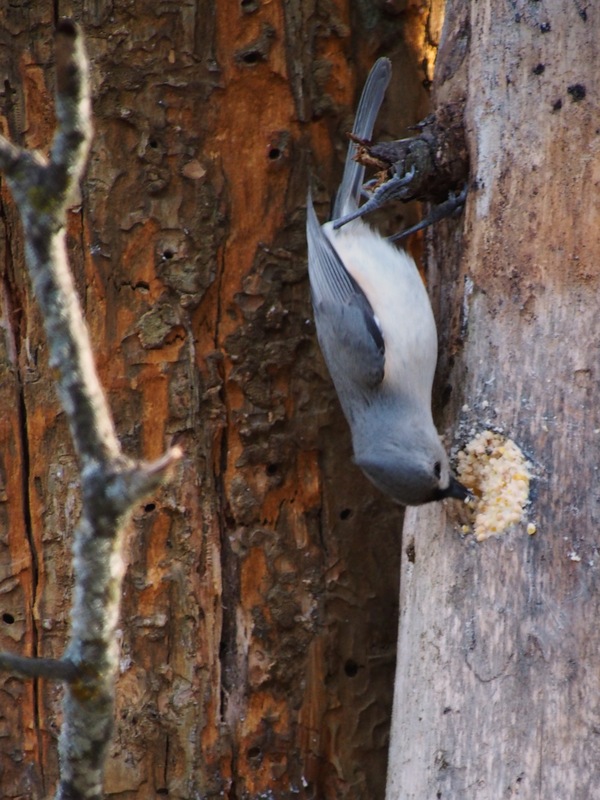 We don’t have them here in Ottawa (well, not usually…we had one since I started birding so it’s on my life list), so I’m envious of those who get them regularly at their feeders like you do. 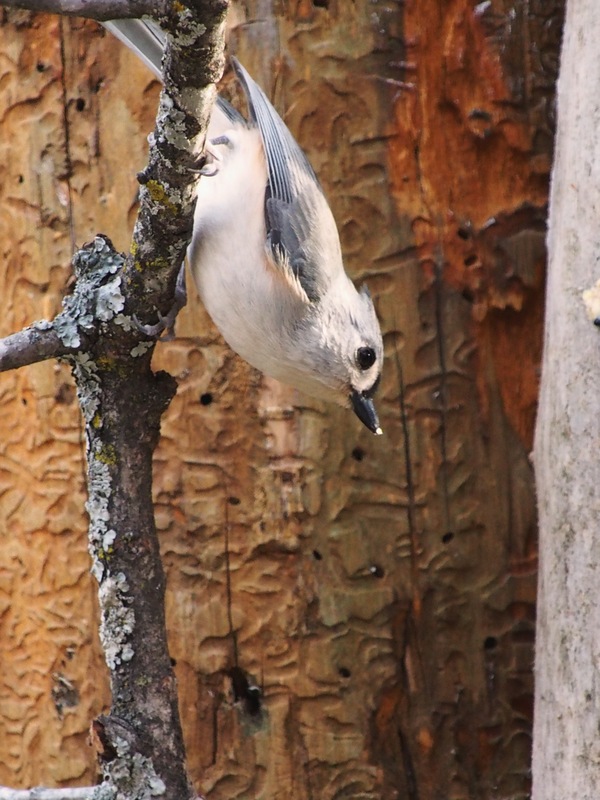 I didn’t know they could hang upside down like a nuthatch! I had never seen one upside down until today. He was trying to get to the suet I left for the woodpeckers. So clever. Their range is south of you according to my birding app. 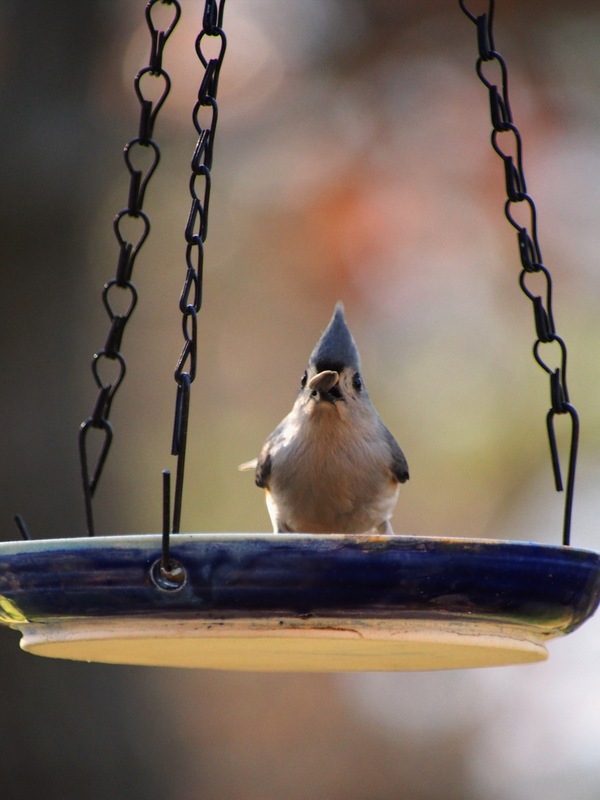 I get them in flurries at the feeders – 10 or more at a time. 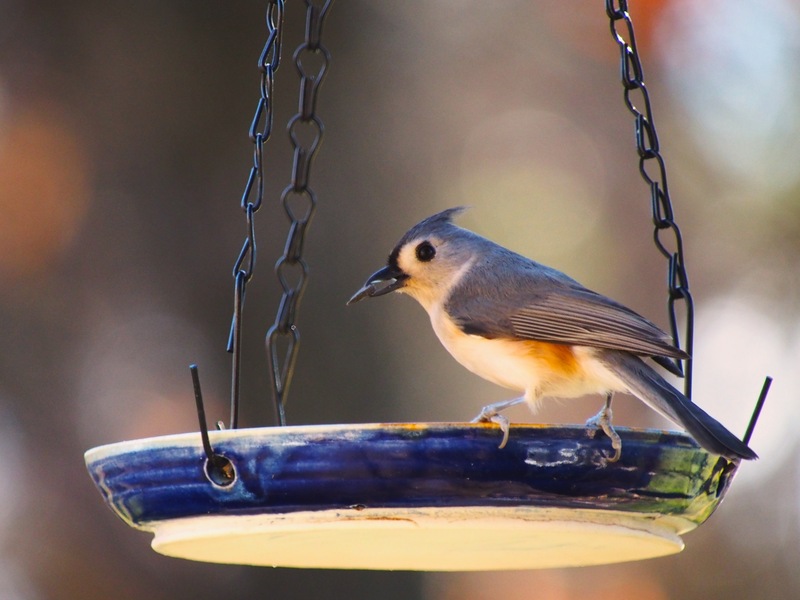 Titmice and chickadees are regulars at our feeders, too. 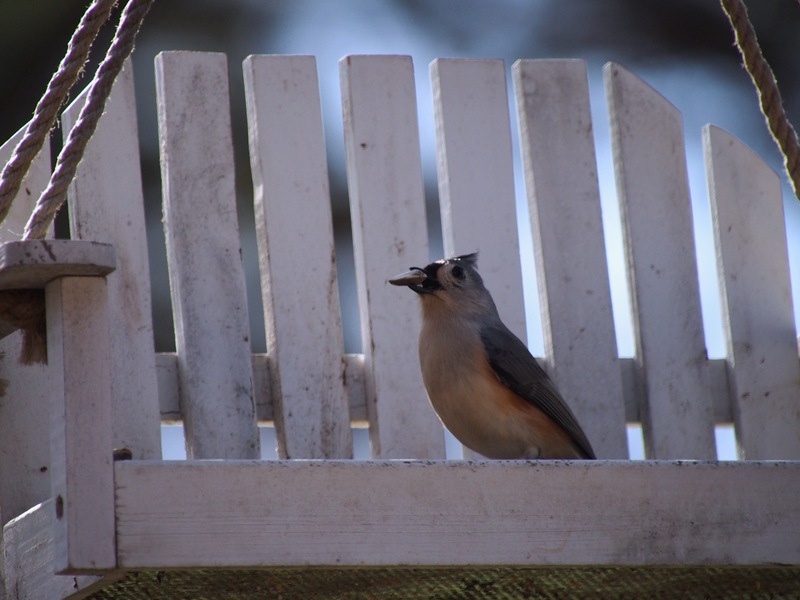 They are both cheery birds and are vocal throughout the winter. They disappear for a while in the spring and summer to raise their young, but return like clockwork every fall. I love the chickies too. I put out a lot of birdhouses so hopefully they stay close. Today I was on a ladder fixing a feeder and one that I call Peaches was less that 3 feet from me. They have become like pets if that makes sense. I love their freedom, but I love providing for them too. 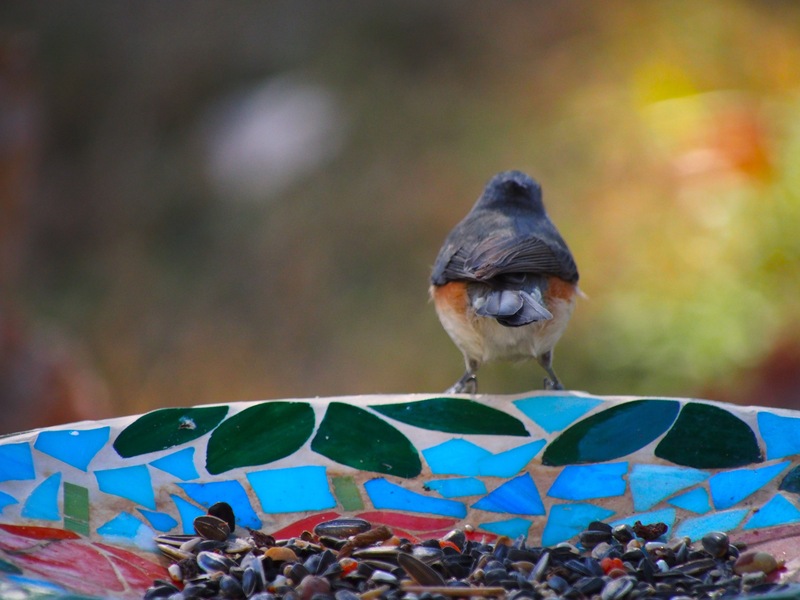 Like balm for the soul – you know I love your birdies – thanks! That makes me feel better – thanks. Our souls need some relief.